You got one! You are so lucky! Love it and those boots! So impressive! I didn't even bother... I am not one to wait up for collabs but I do like seeing everyone else's scores. Good score on the bag! Beautiful outfit! I love that purple skirt and the handbag, you look beautiful. I love everything about this look, amazing head to toe! 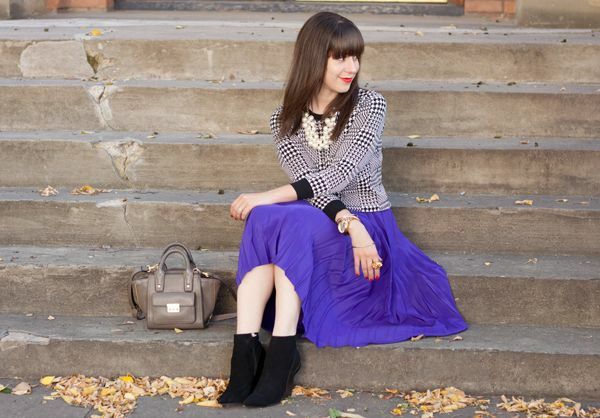 Love the bright purple against the classic houndstooth, and of course your fabulous bag is the cherry on top! I wish we had Target down here! Gorgeous! 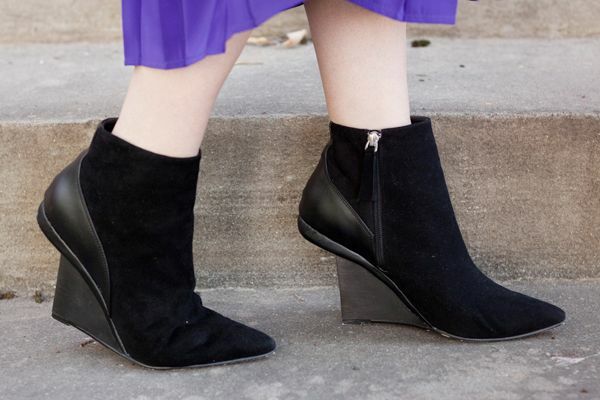 I am getting so jealous seeing everyone rocking their pretty Philip Lim scores... I am waiting on mine to come in the mail! I stayed up until 3 and it was so worth it to score the mini satchel and large tote! Shopping madness is so fun! This shade of purple is so great on you- you're such a knockout!